The perfect way to tackle a chilly day is to hunker down in your favourite armchair with a warm drink and a great book. But first you have to find the right one to keep you merrily glued to your seat (and away from your digital device) for a few relaxing hours. 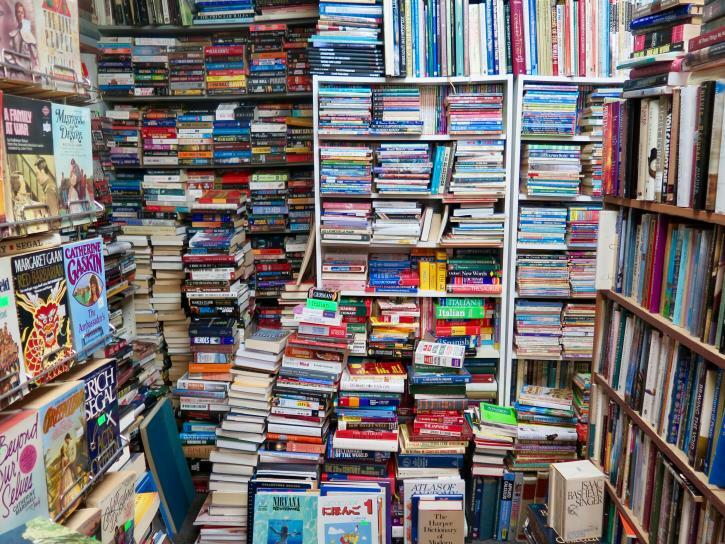 Luckily, there are several places to pick up an enticing volume or two in Richmond. Read on for our local bookstore picks and make sure you give yourself plenty of browsing time: half the fun of snagging the perfect title is the leisurely time you spend searching for it. The bookcases stretch towards the lofty ceiling in this highly inviting Steveston store. Lined with mostly used volumes—divided into sections ranging from Mystery to Poetry and from Sci-fi to Canadian Literature—it’s hard not to find a great book to take home here. 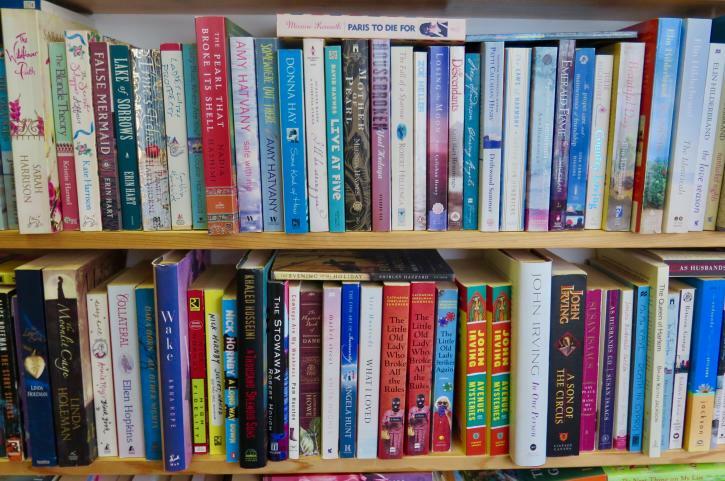 There’s also a good array of children’s books (where else are you going to find that essential The Wonky Donkey copy?) at Village Books & Coffee House, as well as new books covering everything from cooking to sports—making this a good spot for Christmas gift shopping as well. 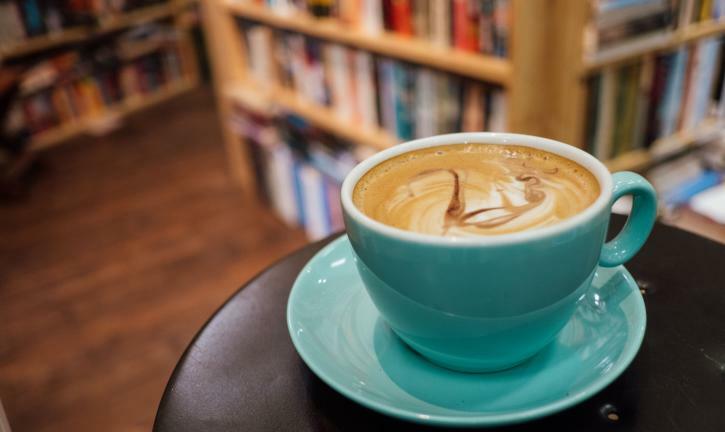 Whatever you’re looking for, save time for a sit down: Village Books is also a popular coffee shop, serving well-prepared java and tempting baked treats. Jam-packed with page-turning options—piled high on the floor or almost buckling the shelving—this little book shop of mostly used volumes (there are also racks of new titles near the front) is a perfect hangout on cold days. Great for unearthing esoteric books on nature, maritime themes, and local history, there are also lots of general interest fiction and non-fiction titles here—especially in the back half of the store, which is filled with a cornucopia of quick-read paperbacks. Can’t find what you’re looking for? Ask for tips and the staff will point you in the right direction. Reflecting Richmond’s flourishing Asian community, this store’s Aberdeen Centre location is often busy with locals browsing its well-stocked shelves of mostly Chinese language titles. You’ll find thousands of books here—from the latest translated novels to handy self-help volumes—making it a great spot to pick up just the book you&apos;ve been looking for. And if you’re keen to launch into your New Year resolution to lean a new language, the staffers here can show you where to start. Gone are the days when Chapters-Indigo stores operated like giant barns filled with every book you might ever want. The national chain has been quietly rolling out these smaller format stores in recent years, and they’re much better for casual browsing. With less space to play with, the shops—including this one inside CF Richmond Centre —take a much more considered approach to their curated collections. Start with the New & Hot section near the entrance, then work your way through genres ranging from Local Interest to True Crime & History. Great for gifts, you’ll find plenty of options here, and a staff that has lots of handy suggestions. You don’t have to visit a dedicated book shop to find great titles here: several Richmond stores also have well-regarded book sections with excellent options. Check out the small but perfectly formed array of hardbacks at Steveston’s Beatmerchant Record Store—including intriguing biographies and entertainment industry titles. 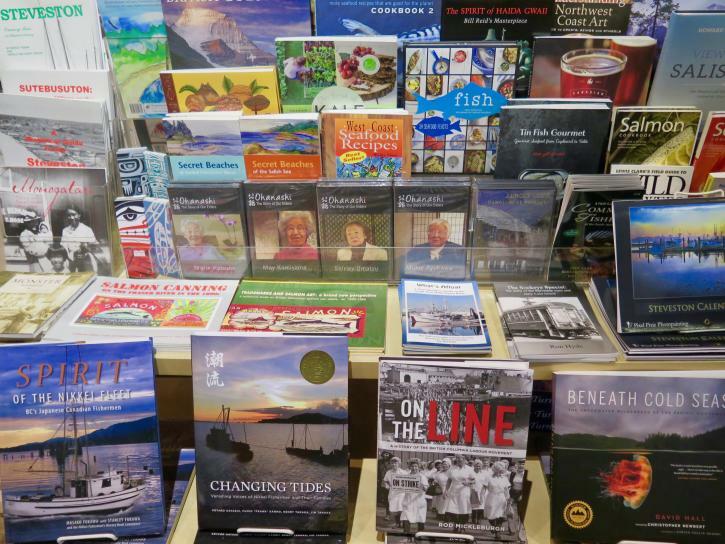 Or—just a short walk away—explore the gift shop at the Gulf of Georgia Cannery National Historic Site. The store has a great selection of factual titles and coffee table books covering everything from Indigenous themes to local history. There are also some great cookbooks (mostly covering seafood) plus some excellent children’s titles as well. If you’re having trouble choosing the perfect book, here are 5 local interest titles to consider. Why not buy one for yourself plus a few more for friends and family? (by Ron Hyde; 2011) Filled with evocative old photos, this book relates the rattling yarn of Richmond’s yesteryear tram line and its importance to the city’s development. (by David Hall and Christopher Newbert; 2011) A dazzlingly beautiful photo book that’s swimming with eye-popping images of the region’s multitudinous marine life. (by Rod Mickleburgh; 2018) A Cannery visit tells you all you need to know about the gritty employment conditions in back-in-the-day BC, but this new book explores the gripping true story of how things got better for workers over the years. (by Nature Vancouver; 2016) With sections on Iona Beach Regional Park, Terra Nova Natural Area and many of the trails around Richmond, this handy guidebook is a great introduction to regional birding opportunities. (by Jenny Lamb, 2018) A charming new children’s book relating the thrilling tale of Jack and his whiskered best friend in Steveston Village.